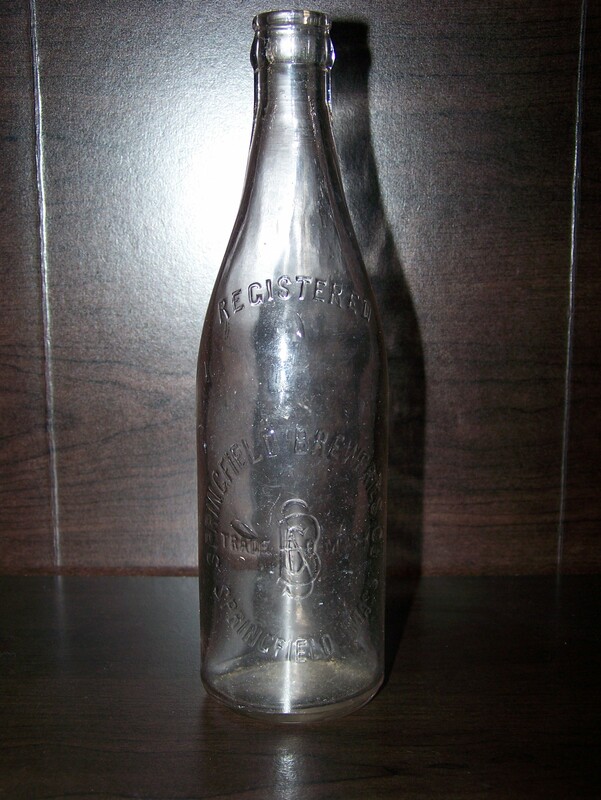 Bottle Maker: Reed Glass Company, Rochester, NY (1927-1956). 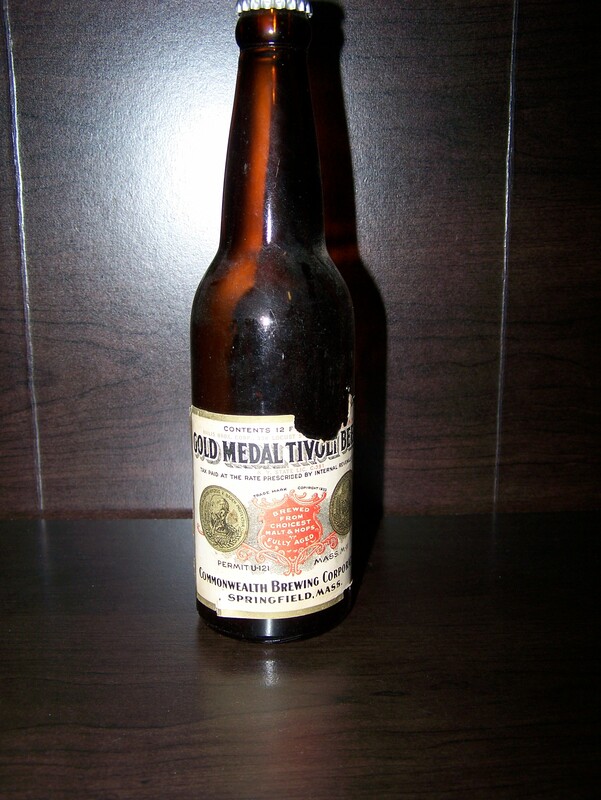 Front: Contents 12 Fluid Ounces/Gold Medal Tivoli Beer/ Mass M-11/Tax paid At The Rate Prescribed By Internal Revenue Law/Trade Mark Copyright 1933/Brewed From Choicest Malts & Hops/Fully Aged/Commonwealth Brewing Corporation/Springfield/Mass. 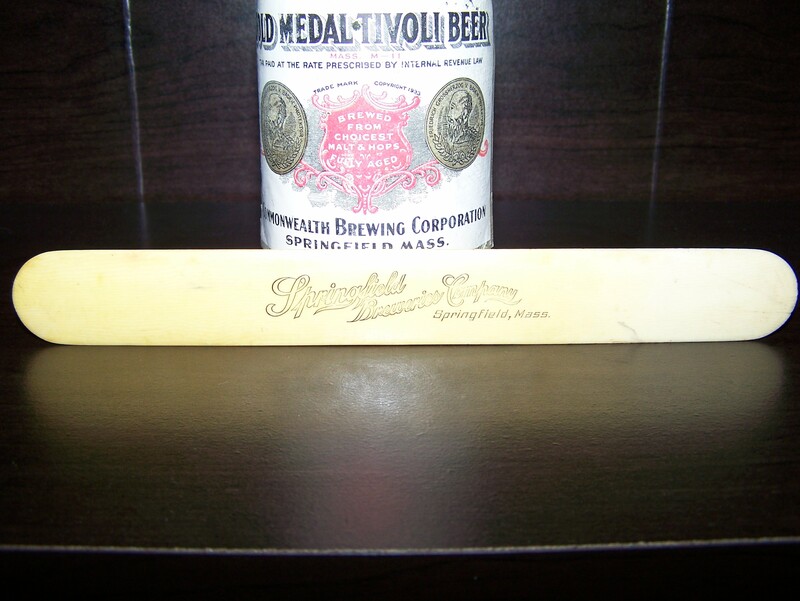 Front: Contents 12 Fluid Ounces/Gold Medal Tivoli Beer/Contains Over 4% Alcohol By Volume/Trade Mark/Copyright 1933/Brewed From Choicest Malt & Hops/Fully Aged/Brewery/Bottling/Commonwealth Brewing Corporation/Springfield/Mass. 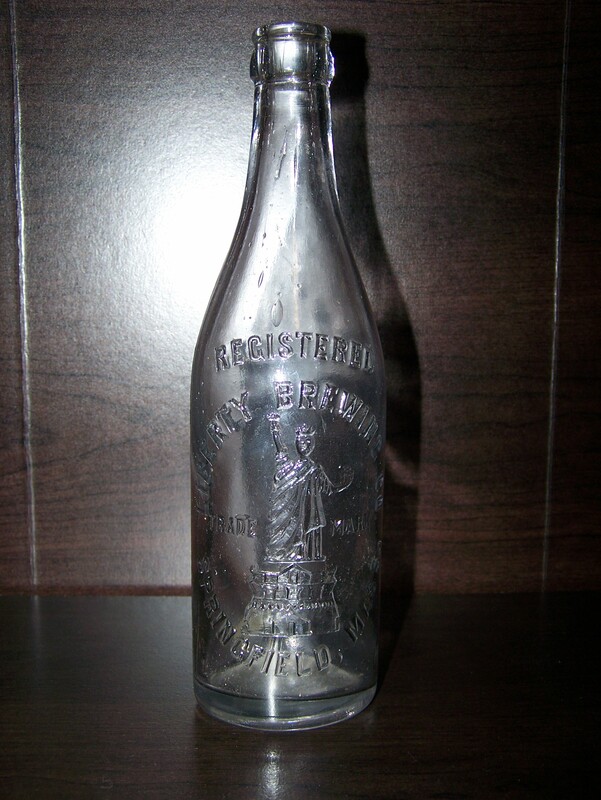 Front: Contents 12 F/Bailis Bros. Corp..338 Locust S/N.Y. State Lic. 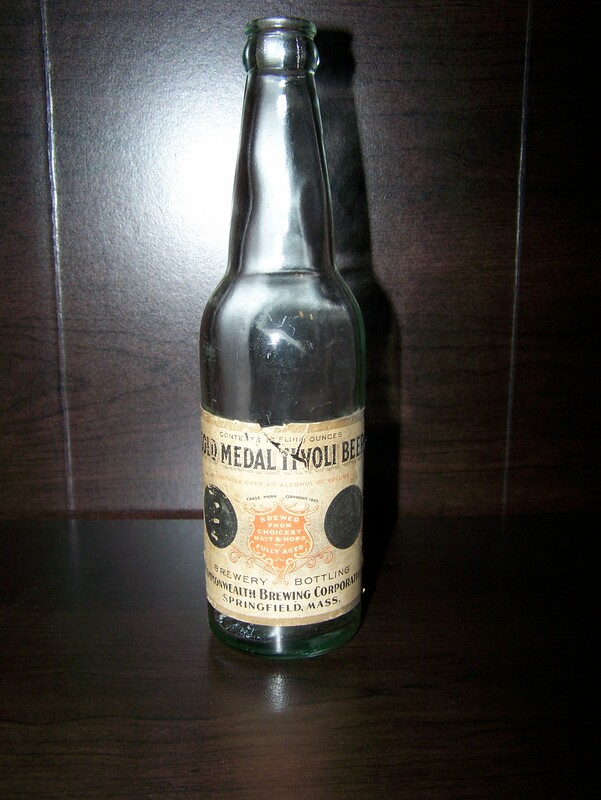 C-391/Tax Paid At The Rate Prescribed By Internal Revenue Law/Trade Mark/Copyright 1933/Brewed From Choicest Malt & Hops/Fully Aged/ Permit U-121/Mass. 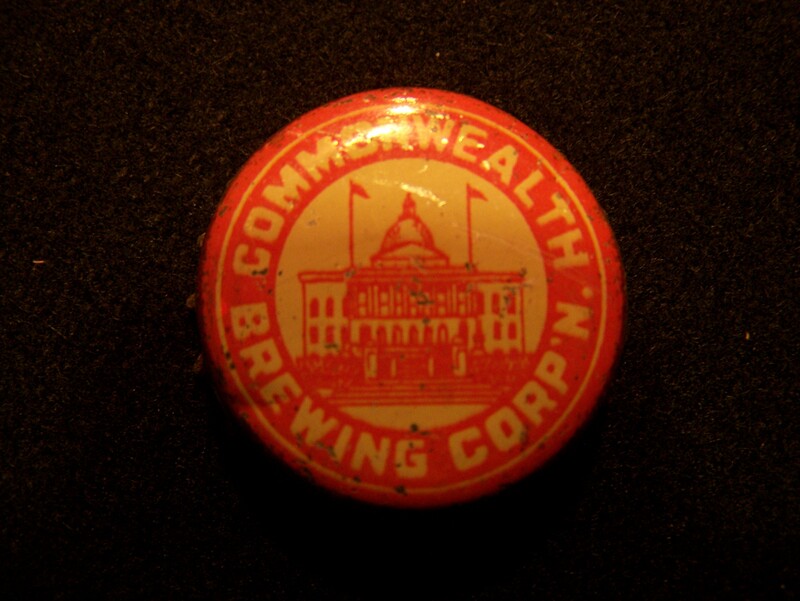 M-11/Commonwealth Brewing Corporation/Springfield/Mass. 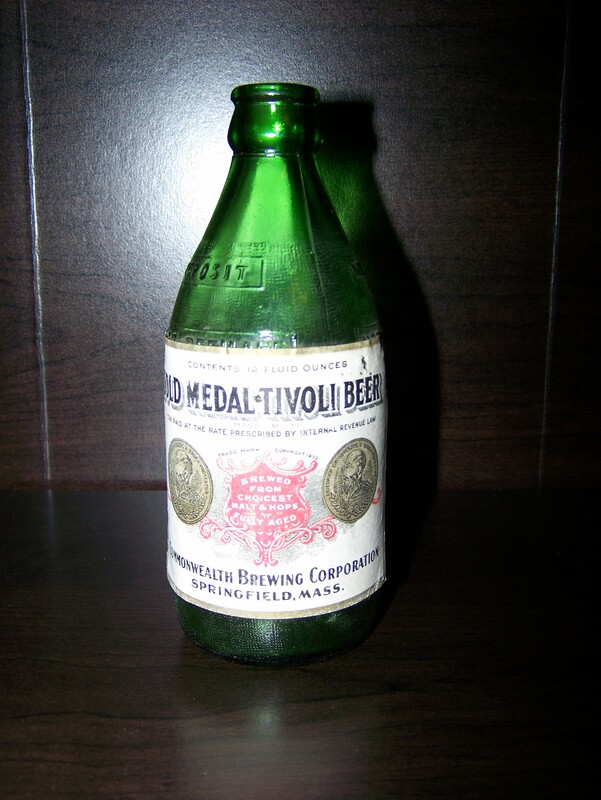 Front: Contents 12 Fluid Ounces/Gold Medal Tivoli Beer/Contents Over 4% Alcohol By Volume/Trade Mark/Copyright 1933/Brewed From Choicest Malt & Hops/ Full Aged/ Brewery/ Bottling/Commonwealth Brewing Corporation/Springfield/Mass. 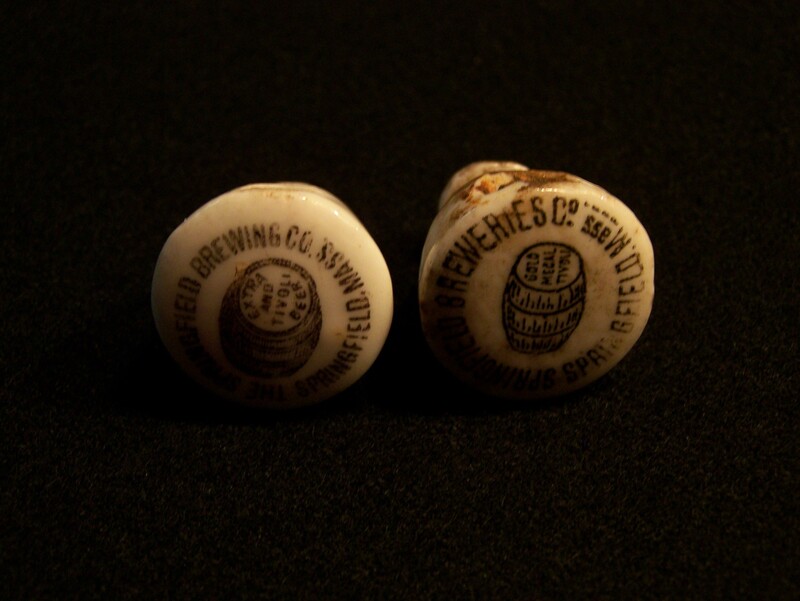 Two Different Springfield Breweries Porcelain Hutter Closures. 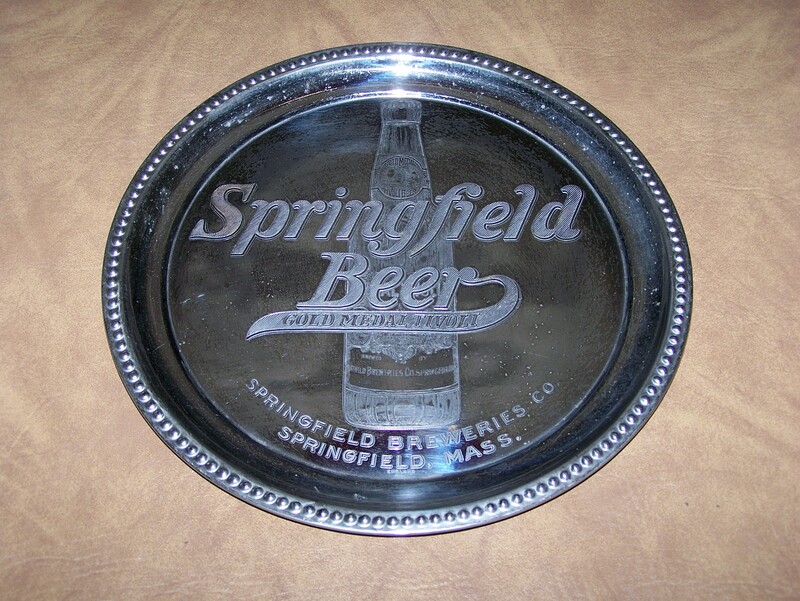 One Reads The Springfield Brewing Co. Springfield,Mass. 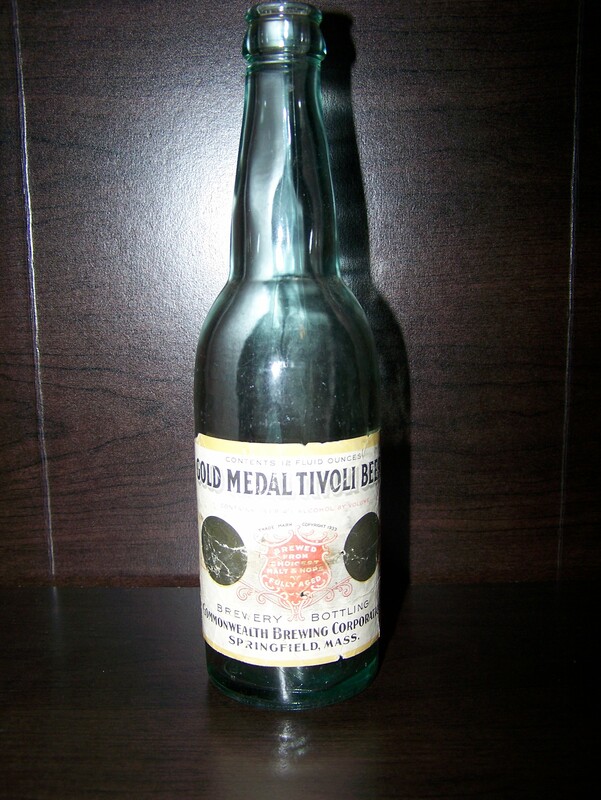 With A Barrell Logo Reading "Extra And Tivoli Beer". 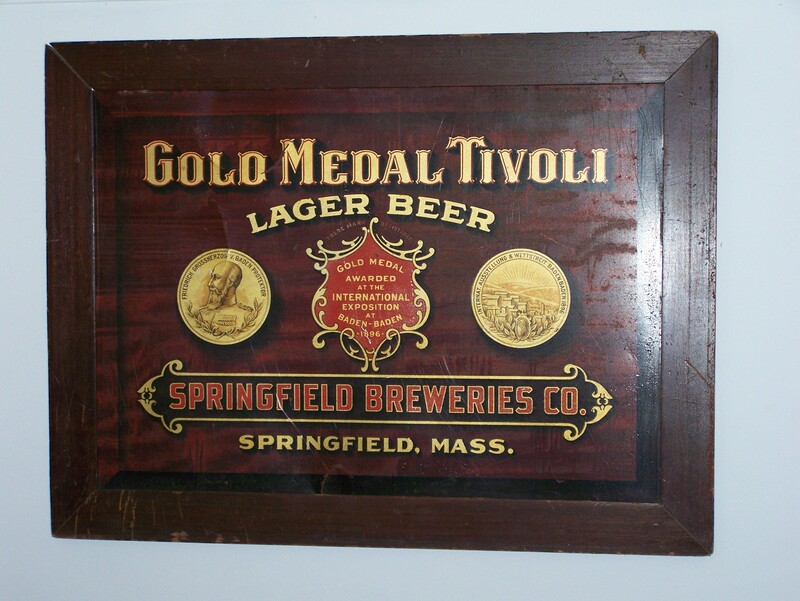 The Other Reads Springfield Breweries Co. Springfield,Mass With A Barrell Logo In Center with "Gold Medal Tivoli". 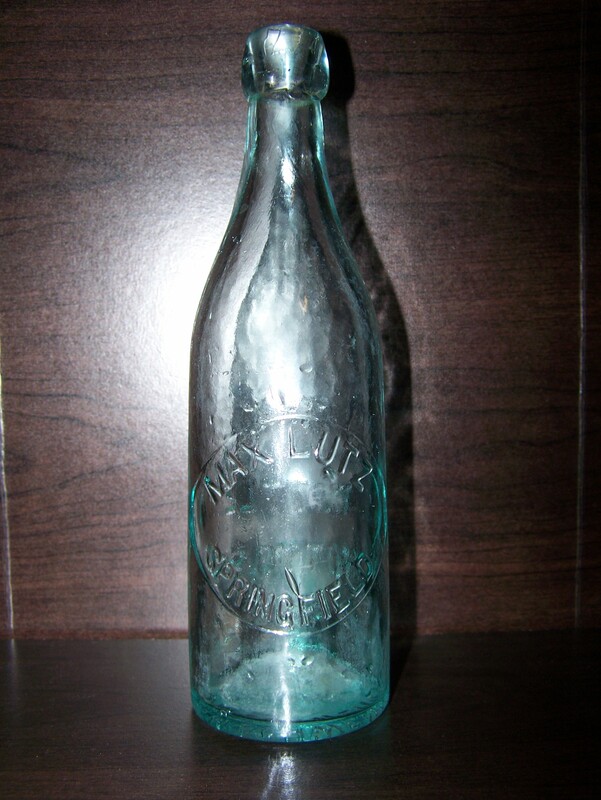 Both Closures Read Pat D K.Hutter Feb 7 1893 On The Underside.